Many of the estimated 27-30 million more people who will gain health insurance coverage in January under the Affordable Care Act will go through a process similar to what I am now experiencing. For several reasons, I must enroll in a new health insurance plan. Selecting a plan was pretty straightforward, thanks to one provision of the health law that requires plain language summaries of benefits and coverage, which easily allow cost and benefit comparisons. Unfortunately, my current primary care physician is an “out of network” provider, so I will need to find a new clinician who accepts my new insurance. For some, this may be a familiar story; for others, it may be an eye opener. My new plan has hundreds of participating physicians within a five-mile radius of my home. Hundreds more are on the list if I travel a bit further. So how do I pick someone who is a good match? It’s like playing darts blindfolded. Who do my friends and colleagues recommend? Personal experiences are always a good starting point. Was my new plan accepted at all locations or only at some of the practice’s offices? How frequently is the physician at a particular office? Are there evening or weekend appointments available? My schedule is in continual flux. I need scheduling flexibility. Did I prefer male or female, or have no preference? What about age and experience? Do I want someone my own age? Older? Or a younger clinician who may be more on top of trends and technology? Did I prefer a sole practitioner or group practice? Each has benefits and drawbacks. Was the office convenient, with plenty of parking? Only street parking was available at my previous physician’s office – an often time-consuming exercise. What about hospital affiliations? Since I live equidistant to two of Long Island’s major hospitals, it was a safe bet that almost any clinician with nearby offices will be affiliated with one or both, and perhaps some others in the region. What do other patients think of these providers? Although sites like healthgrades.com, vitals.com, or ratemymd.com are highly subjective, they can give some indication of potential upsides or drawbacks for standards like scheduling, staff interaction, promptness of returned phone calls, length of consult and patient-clinician communication. How tech savvy are they? For example, a patient portal and online appointment scheduling is a plus. Will the physician respond to email questions? It takes time – a lot – to cross check each potential choice against my criteria list. Once I narrowed it to three practices, I looked at their websites. 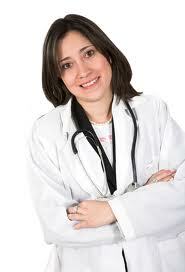 The most highly rated practice, with the most highly rated physician, matched nearly all my needs and wants. But there is one catch. This practice also offers “concierge” service. For an additional annual “membership” certain patients receive perks like more in-depth annual exams that go well beyond traditional physicals, same or next-day appointments, longer blocks of physician time allotted per patient, a private phone number for 24/7 access and other elite benefits. This troubles me. Concierge service is an out-of-pocket expense. It’s expensive – easily costing several thousand per year, per patient. It’s rare for health insurance to cover these extra benefits. This creates two tiers of care – the financially well-off and everyone else. This duality perpetuates income-based health disparities. Physicians are turning away Medicaid patients – a group whose ranks will swell in January as more low-income earners qualify for health coverage. Medicare reimbursement is arguably too low, leaving private insurers and private pay patients to pick up the financial slack. This is likely the thinking behind the particular practice under consideration. Ultimately, I decided to pass. I would feel very uncomfortable knowing I could get more personalized care – if I was willing to pay the price – while other patients could not afford to have the same experience. Healthcare to me, is different that buying a consumer good like a car. An level playing field is necessary. It’s a personal choice, based on my own world views. Others may feel differently. However, it did affect my decision-making. I plan to schedule a new patient consult at a mid-sized practice, which includes two other top-rated, experienced female practitioners. I’m optimistic that I will receive the best care possible, regardless of my insurance plan or financial status. Soon, nearly 30 million people will have to choose providers. If my experience is any indication, many have their work cut out for them. If you’re one of them, patient navigators will be on hand to help guide you. Remember ratings aren’t’ everything. What may be the right fit for one patient is a poor match for another. Do your homework and at least know what criteria you will use to help you choose. No matter what anyone else says or writes, healthcare is a very personal choice. In the end, one only you can make. Just like you, I had to change providers due to a change in insurance. For me it was worth it. I discovered there are providers who are doing things differently and much better. It was a breath of fresh air to have my doctor communicate with me by secure e-mail and to have a portal to look up labs. Also, in your list of things to look for I would add the importance of doctors in a group who can fill in when the provider is gone. Also, I think it is an advantage to have ARNPs or PAs in the practice — they certainly can speed up the appointments for simple things. My doctor does not go to the hospital but has a strong affiliation with a hospital and a hospitalist group — both good things from my standpoint.